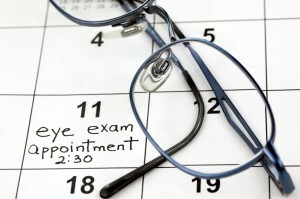 There are many reasons to schedule eye exams in the Somerville, MA area. An examination may reveal serious medical problems before they become difficult to treat. It ensures that you have the correct type of eyeglasses or contact lenses. A yearly exam is also an excellent opportunity to ask complex questions about your vision. To learn more, visit Parrelli Optical. Parrelli Optical offers comprehensive examinations for children and adults. Our optometrists thoroughly inspect each patient’s eyes. They look at the lens, cornea, retina, eyelids and other ocular components. If necessary, we will update your eye wear prescription. The optometrists also perform various tests to monitor the health of your eyes. Our screenings can detect a variety of diseases, such as glaucoma and cataracts. If we discover a problem that cannot be treated in our office, we’ll refer you to a skilled ophthalmologist. Feel free to ask questions about eye health and discuss recent changes in your vision. We will work to address any concerns you may have. Your eyes are essential for most everyday tasks. It’s vital to conduct research and select an eye doctor carefully. Parrelli Optical employs well-qualified optometrists who take the time to perform meticulous eye exams. Our friendly staff uses modern equipment to detect medical problems and identify the correct eye wear for each individual. Most people can meet all of their eye care needs at Parrelli Optical. We carry an extensive selection of eye wear, including sunglasses, contact lenses and safety goggles. Our optometrists also treat minor medical problems, such as eye allergies. Although we don’t perform eye exams in Somerville MA, you can schedule an appointment at our office in neighboring Cambridge.